Please accept the invitation to the 9th PEDOFRACT Conference with the general topic “Advances in soil scaling: theories, techniques and applications” be held at Barco de Ávila (Spain) on the second week of July 2019. Dependent on the workshop program, workshop contributions will be offered as the materials for special issue(s) or section(s) to appropriate journals, e.g. Vadose Zone Journal (SSSA), Geoderma (Elsevier), or Fractals (World Scientific). Journal preferences will be decided upon at the workshop closing session. We will be happy to welcome you in El Barco de Avila and provide an excellent environment for the exchange of ideas and initiation of collaborations within and across research fields. El Barco de Ávila is a relatively small village in center Spain, 200 km west Madrid, at the skirts of Sierra de Gredos in its northwestern end. This locations for PEDOFRACTs have been tried in the past, and has proven to be excellent for good interactions and reflections. A PEDOFRACT typically goes for three full days, a half day excursion to visit the spectacular surroundings will be organized. Buses for the roundtrip El Barco de Ávila – Madrid will be provided. 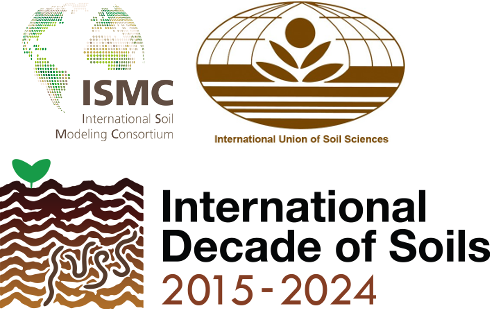 The International Union of Soil Sciences is supporting the 9th PEDOFRACT Conference.